In the long history of gemstones, faceted gems are a recent innovation. Gems were not cut with multiple faces in a geometrical pattern until the invention of the horizontal cutting wheel in the 15th century. Prior to that, gems were mainly cut as cabochons, a smooth domed shape with a flat base. 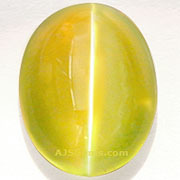 Even though most fine gemstone are now faceted, cabochons (or "cabs" as they are called in the trade), are still popular. You will find them mainly in varieties like moonstone, opal and turquoise, as well as in star sapphire, star ruby and chrysoberyl cat's eye. Faceted gems have superior brilliance and fire, because they maximize the light that is returned to the eye. But cabochons maintain their popularity for several reasons. 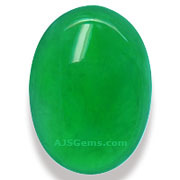 In the case of so-called phenomenal gems such as those that display a star or cat's eye, the gem will only display the interesting optical effect when cut as a cabochon. 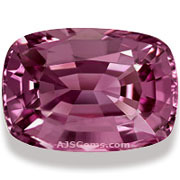 In other cases, some gems are cut as cabochons because they are opaque or translucent rather than transparent. Faceting this material does not produce very good results. 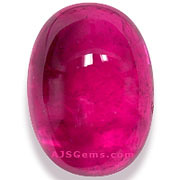 You will also see lower grade material in gemstones such as sapphire, ruby, quartz and garnet cut as cabs. If the gem material has very good color but is not sufficiently transparent or clean to be faceted, it can still be shaped and polished to be a very attractive cabochon. Some rare gems, such as gem silica and rhodochrosite, are usually cut as cabochons. From time to time customers who are fond of cabochons ask us for a high quality sapphire or ruby cut en cabochon. These are difficult to find because facet-grade material is almost always faceted instead. The reason is simply one of economics. 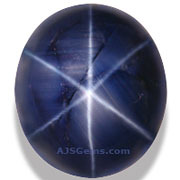 A high quality transparent sapphire will sell for a higher price if faceted. Only lower grade material, known as "cabbing rough" in the trade, will be cut as cabochons. For the highest quality cabochons, look for star sapphire and star ruby, as well as jadeite, opal, chrysoprase and gem silica. For in these gems the very finest stones will be cabochons.